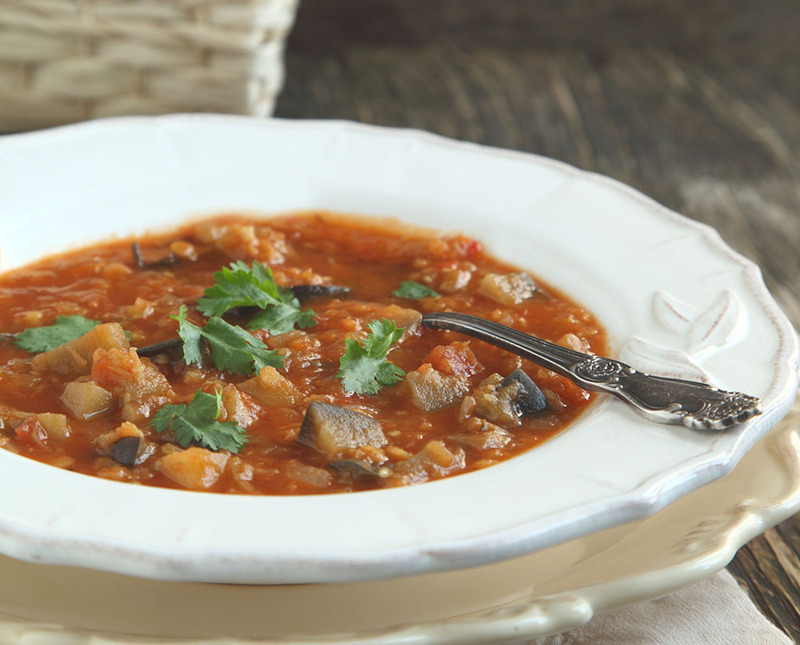 Packed with protein and lots of veggies, this hearty eggplant soup is as nutritious as it is delicious, and it couldn’t be any easier to make. With a total cooking and prep time of under an hour, it’s our go-to choice for busy days when we don’t have hours to spend in the kitchen – plus it’s good for us! We added a quick side of fresh bread for the perfect complement to this soup, but you could easily just add a fresh salad into the mix and be good to go…. Either way, check this yummy soup out! Toss cubed eggplant, onion and garlic with extra-virgin olive oil in a large bowl. Transfer vegetables to a rimmed baking sheet or roasting pan, forming a single layer. Place baking sheet in oven and bake for approximately 35 minutes, or until the eggplant is cooked through. Remove roasted veggies from oven and place, along with lentils, in a large pot over medium-high heat. Season with salt, pepper, oregano and basil. Pour in chicken broth and bring to a boil, cooking for 10-15 minutes, or until barley is cooked. Use the back of a spoon to mash eggplant until desired chunkiness is reached. Ladle in to bowls, garnish with freshly chopped parsley, and serve hot.